Dubai: Guess who travelled business class without a passport? A mynah also known as a common starling. Discovered just two hours before the flight landed in London, the feathered flier had joined all the way from Singapore. The mystery of how the bird got onboard remains unsolved. What netizens do know, is that they would like to trade places with the bird. 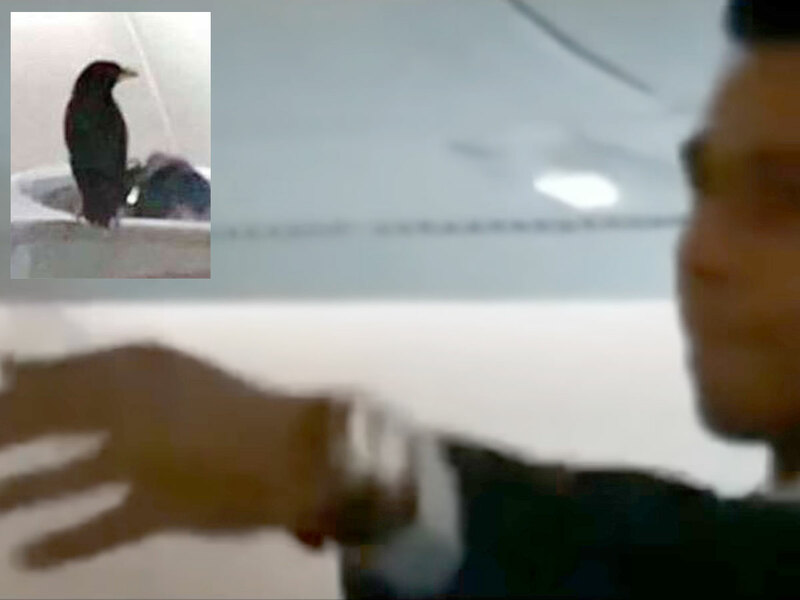 Social media also shared the video of a Singapore Airlines (SIA) cabin crew member failing in his attempts to catch the bird. Staff on the SIA flight discovered the unlikely stowaway perched atop a business class passenger’s headrest, late into the 14-hour SQ322 flight last Monday, January 7. The airlines’ spokesperson said the bird was “caught by cabin crew with the assistance of some of the passengers on board”, and handed over to animal quarantine authorities at London’s Heathrow airport, in a statement released to Singaporean newspaper The Straits Times. The video, where the bird evades capture, was originally uploaded to Facebook and deleted, but has since been uploaded on YouTube. Social media users had a good laugh, but some were also concerned about the bird’s fate. Other netizens were jealous of the bird who travelled business class before they did.